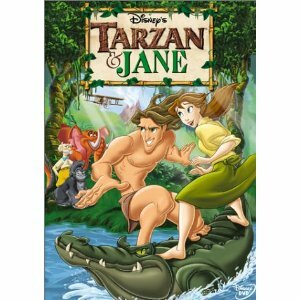 I'm pretty sure most of us had seen Tarzan's movies, especially with his lady's Jane. The one I like best is Tarzan and Tarzanee. For those who haven't seen it, please click further to have a better blow up picture. Sometimes we played Tarzan at home and it's wonderful if we could have a Tarzanee to play along with us. If Tarzan could not live without a mate in the wild, you and me can't either.